General Hoffman was born in Neosho County, Kansas, on June 13, 1869. Of German ancestry, several of Hoffman’s ancestors held positions in the court of Imperial Germany. His father Peter was a rancher and Hoffman became a cowboy at a young age. Hoffman attended public school infrequently and the majority of his education was obtained at home. He studied at the Kansas Normal College at Fort Scott, Kansas, for two years. In addition to teaching in Fort Scott, Hoffman also read the law under an attorney by the name of Colonel Harris. When the Oklahoma Territory was opened, Hoffman made the Run of 1889. Upon arriving in Guthrie, he found employment in the United States Land Office. Hoffman would also found a newspaper, the Guthrie Leader, serving as editor. He continued to study the law in Guthrie as well, in the firm of Speed & Hackney; being admitted to the bar in 1892. Hoffman would also make his way into public service that year, as he became private secretary to Governor William C. Renfrow. One of his tasks in this post was laying out the county lines for Oklahoma Territory. While residing at Chandler, Hoffman took the degrees of Freemasonry in Chandler Lodge No. 58. He was made an Entered Apprentice on July 2, 1898, and passed to the degree of Fellowcraft on July 5. Hoffman was raised to the degree of Master Mason that same day. This was likely due to the fact that Hoffman had enlisted as a private in the 1st Territorial Volunteer Infantry, as war had erupted with Spain, and he would soon be leaving for the army. During the Reunion of August 4-5, 1898, Hoffman took the degrees of the Ancient and Accepted Scottish Rite at Guthrie. His degrees were conferred by Harper S. Cunningham, first Sovereign Grand Inspector General of Oklahoma. Hoffman helped to raise Company K of the 1st Territorial Volunteer Infantry from the counties of Pottawatomie, Osage, Lincoln, and Oklahoma. He would ultimately serve as captain of Company K. Unfortunately, the 1st Territorial Volunteer Infantry never saw action and spent the duration of the war in camp in Georgia. Hoffman secured leave while stationed in Georgia to return to the Oklahoma Territory to marry Estelle Conklin on October 5, 1898. When the Oklahoma contingent of the 1st Territorial Volunteer Infantry returned home, Hoffman continued in military service. He became lieutenant-colonel of the 1st Oklahoma Infantry Regiment in 1900 and when the commander was killed in 1901 at Kingfisher, Hoffman was made colonel of the regiment. When statehood arrived for Oklahoma in 1907, Hoffman had been serving as Assistant U.S. Attorney since 1903. It was under the direction of Frank M. Canton, who was appointed Adjutant General in 1907, that Hoffman would author the National Guard Maintenance Bill. The bill allowed for the creation of a 945 man regiment with one company of engineers, one hospital unit, and one signals unit, along with a reserve militia. In the faithful hands of Canton, the billed passed the legislature by two votes on May 22, 1908. The year 1907 also saw Hoffman make a bid for the United States Senate, though he lost election by a very narrow margin. In 1908, he became District Judge of the Tenth District, serving until 1912. 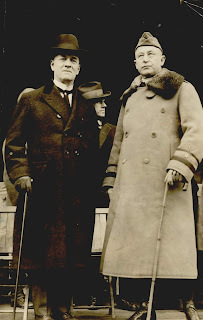 Additionally, Hoffman was appointed to the Board of Affairs in 1909 by Governor Charles N. Haskell and elected chairman. It was Hoffman who went into the field to bring in Chitto Harjo, the leader known as Crazy Snake, when rebellion erupted at the Hickory Ground near Henryetta in 1909. On March 28, Hoffman arrived in the area with five companies. Military telephone lines were built and the Guardsmen hiked into the mountainous region, traversing twenty-one miles on the first day’s march to Pierce, near the home of Harjo. About 150 followers of Harjo were arrested during the operation, which concluded on April 1. Though Harjo managed to escape capture, this first test of the new National Guard of the State of Oklahoma was a success as not one man was injured. Hoffman, an active votary of Freemasonry, was made a Knight Commander of the Court of Honor in the Guthrie Valley of the Ancient and Accepted Scottish Rite in 1907 and coroneted a 33rd Degree in 1909. He moved to Oklahoma City in 1915 and there entered into the firm of Burford, Robertson, and Hoffman. John H. Burford was a former Chief Justice of the Supreme Court of Oklahoma Territory. In time, the firm would become Burford, Miley, Hoffman, and Burford. J.H. Miley and Frank Burford both served on the Supreme Court as well. Hoffman was also a stockholder in seven banks and an investor in several businesses. He was particularly interested in land and oil. …after more than four months of efforts in calling for volunteers we were still short more than fifty percent of the number necessary to fill the organization. Let this be the answer when any one says we could have raised an army without the draft. The Oklahoma National Guard would be combined with the Texas National Guard to form the 36th Infantry Division. Hoffman went to Europe commanding the 93rd Infantry Division, an African American unit attached to the 157th French Division. He served in the Toul Sector, was with the 1st Division at the battle of Cantigny, was part of the defense of the Picardy Sector, and fought at the battle of St. Mihiel. The 93rd Infantry Division would be awarded the Croix de Guerre with palm for its service to France and Hoffman himself was made a Commander of the Legion of Honor by Marshall Foch, Generalissimo of the Allied Armies. Incapacitated by injuries suffered from gas attacks, Hoffman returned to the United States. 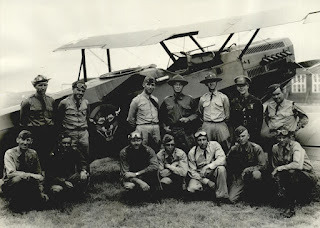 Upon his return, Hoffman was posted at Camp Shelby, Mississippi, where he began the organization of the 101st Infantry Division before being discharged in March of 1919. He assumed command of the 190th Infantry Brigade of the 95th Infantry Division, an element of the organized reserves, when that unit was re-organized in 1921. In 1931, Hoffman was made commander of the 45th Infantry Division with the rank of major general. He remained in that position until his retirement in June of 1933. 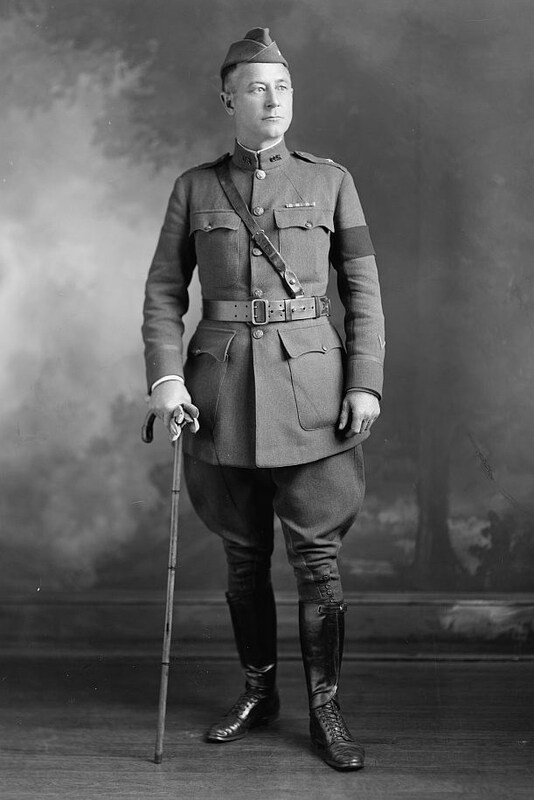 Hoffman served as a civilian aide to the Secretary of War immediately following World War I in addition to being an advocate for veterans. He helped to organize the American Legion, serving as commander of Oklahoma, and also served as President of the Reserve Officers Association. Hoffman’s legal career would see him represent Phillips Petroleum, Standard of Indiana, and the Prairie Oil Company, which became the Sinclair Oil Company. He once quipped about his business experiences, “[I] have been into nearly everything except train robbing.” Hoffman died on June 18, 1953, and was laid to rest in Oak Park Cemetery of Chandler. This is so cool. I am related as a great great grandchild from Dorothy Hoffman Hudson. Can you tell me more about Roy's parents: Julia and Peter Hoffman. Where are they from in Germany. I have been trying to find this out for a while now....years. Thanks for any help.